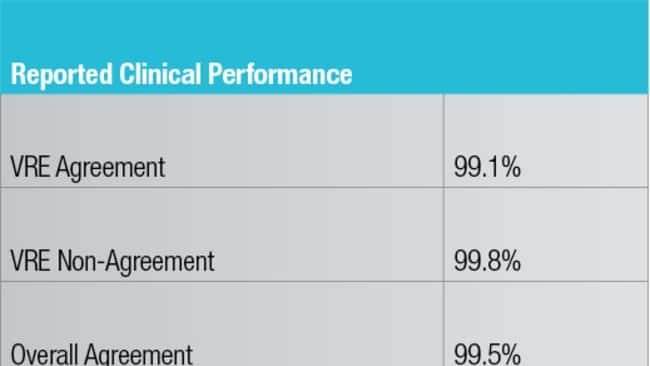 Improve the prevention and control of VRE in healthcare settings by rapidly and reliably isolating and presumptively identifying vancomycin-resistant Enterococcus (VRE) within 24 hours, direct from sample, using Thermo Scientific™ Spectra™ VRE. 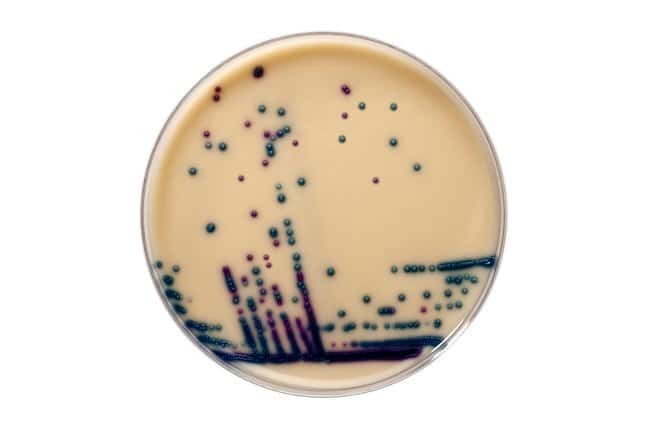 Vancomycin-resistant Enterococcus faecium and Enterococcus faecalis are differentiated through the utilization of two separate chromogens. Interpretation is aided through the inclusion of a semi-opaque background, providing a distinct visual contrast against light blue and indigo colonies. Differentiation of vancomycin resistant E. faecium from E. faecalis is achieved through the inclusion of two chromogens that are targeted by specific enzymes: phosphatase and α-galactosidase. 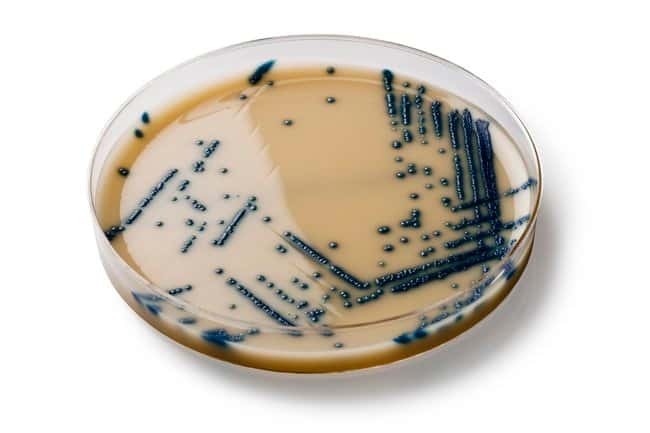 The action of these enzymes on the chromogens results in a build-up of color within the colony. The color produced depends on which enzymes the organisms possess. 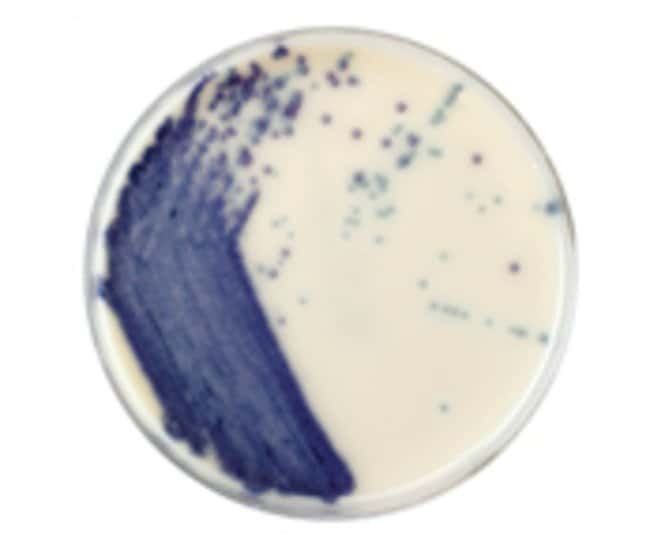 The presence of phosphatase enzymes in both E. faecium and E. faecalis results in a light blue colony; however, E. faecium also produces α-galactosidase resulting in a mix of blue and pink chromophores within the bacterium, producing indigo to purple colonies which are easily distinguished from the light blue E. faecalis colonies. Additional antibiotics, in combination with vancomycin, are present to suppress the growth of competing flora including E. gallinarum and E. casseliflavus, both of which are intrinsically resistant to vancomycin, possessing the chromosomally encoded VanC resistance mechanism. The VanC resistance mechanism is not readily transmissible between organisms and, as such, is deemed less clinically significant than VanA and VanB mechanisms which are encoded on freely transmissible genetic elements, plasmids and transposons, thus increasing the risk of resistance genes spreading to other organisms. 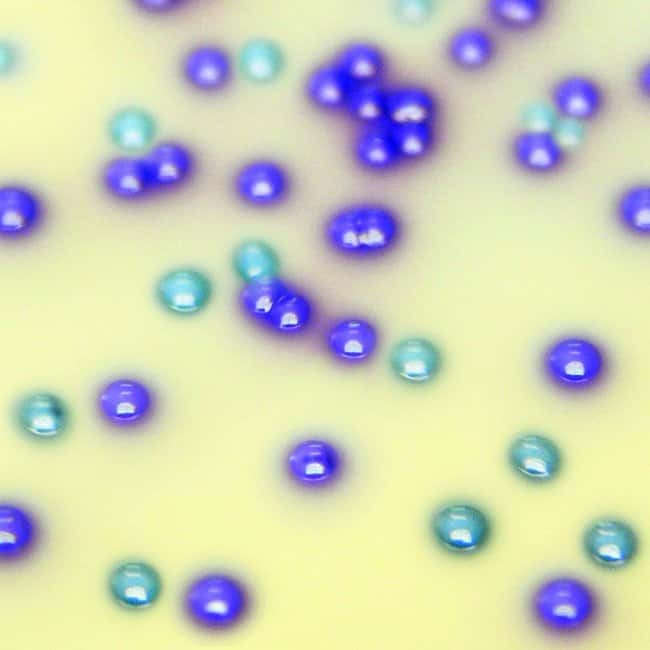 A selective and differential chromogenic medium used for detection of methicillin-resistant Staphylococcus aureus (MRSA) from nasal colonization or positive blood cultures with Gram-positive cocci observed on Gram stain.